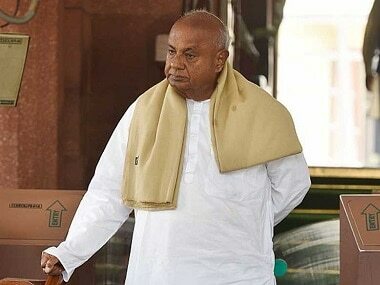 An announcement by the Janata Dal (Secular) on Saturday that its party chief HD Deve Gowda will contest the Lok Sabha election from Tumkur may have brought an end to days of speculation, but it comes hot on the heels of a fresh problem in the JD(S)-Congress alliance in Karnataka. Hours before JD(S) spokesperson Ramesh Babu spoke of the decision to field the former prime minister as a "JD(S)-Congress combined candidate", Congress's sitting MP from Tumkur P Muddahanumegowda said he will file his nomination on Monday as the party candidate from the very seat. The 85-year-old JD(S) patriarch had earlier expressed doubts about contesting the polls, saying he was thinking about his "usefulness" in the National Capital. However, he is now expected to file his nomination on Monday, like Muddahanumegowda, in the presence of leaders of the coalition parties. "All our leaders, workers and elected representatives have unanimously told me that I have to contest. I'm a sitting Member of Parliament. I have delivered on the floor of the House. Why shouldn't I be allowed to contest the election?" Muddahanumegowda told reporters in Tumkur, adding that he has faith that the Congress and coalition leaders would understand the feelings of the people in his constituency and reconsider their decision. Muddahanumegowda was quoted as having said by ANI that he will hold a procession from BGS Circle in Tumkur to the District Collector's Office on Monday. 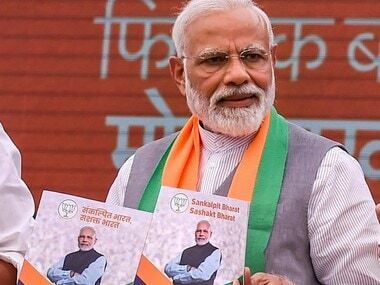 According to the seat-sharing arrangement between the two parties, of the total 28 seats in the Karnataka Assembly, the Congress will contest 20 and the JD(S), eight. As soon as the seat-sharing pact was announced, Muddahanumegowda, along with Deputy Chief Minister G Parameshwara, who hails from Tumkur, had requested the JD(S) to give the seat back to the Congress. 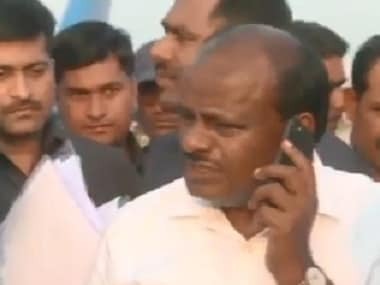 According to sources, JD(S) bagged the Tumkur seat — dominated by the Vokkaliga community, its major vote bank — after a hard bargain as the Congress had decided not to cede constituencies where the party has sitting MPs to its coalition partner. 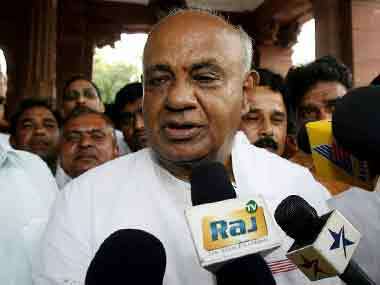 Deve Gowda has ceded the Hassan seat he had been representing to his grandson Prajwal Revanna. There was speculation that he may contest from Bangalore North, though it is understandable that he has chosen to forego it, as most Congress MLAs in the constituency are considered close to Gowda's bete noire Siddaramaiah. 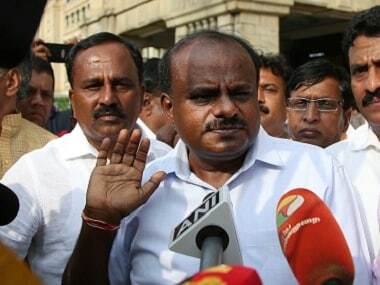 The Congress-JD(S) coalition has been in choppy waters since it was formed in May 2018, and the rifts were perhaps irreparably widened when, in January, the Opposition Bharatiya Janata Party's botched "Operation Lotus" gave rise to renewed suspicions that MLAs from both parties were going to leave for the BJP. The saffron party, too, had alleged that its own MLAs were being poached and accommodated 100 of its MLAs at a resort in Gurugram until the drama tided over.